FEMA admits claimants may have been cheated – will reopen flood insurance claims. In May 2015, FEMA began mailing letters to homeowners with the option to review their Hurricane Sandy flood claim. FEMA has indicated that you will have 14 days from opting in to submit new evidence to support your claim. 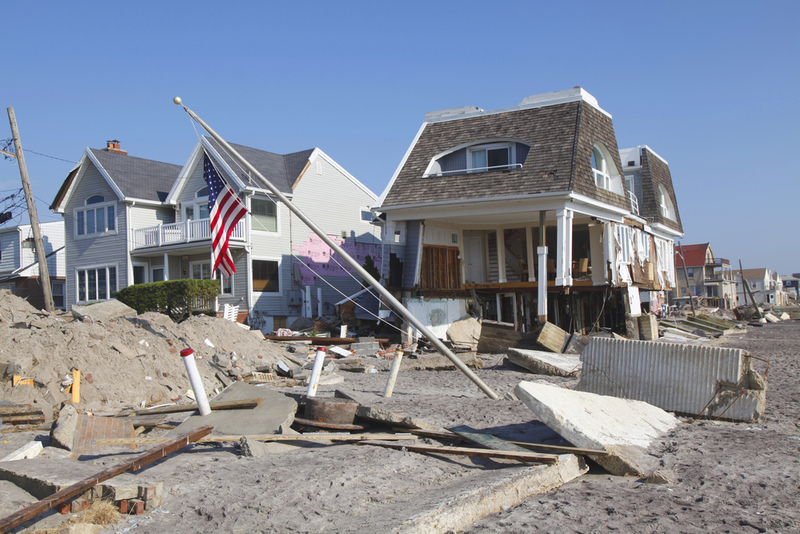 Contact us right away – We can help you prepare to get the most from your Sandy Claim Review. If you feel cheated by the payout you got from your flood insurance, this may be your last chance to get the money you deserve. Empower yourself with experienced legal advice. Starting late May, you may receive a notification from FEMA inviting you to reopen your Hurricane Sandy Flood claim. You will need to respond to this notification quickly. If you accept, you may only be given a “desk audit” by an employee of FEMA. FEMA claims you will only have two weeks to provide additional “evidence” to support your claim. Otherwise, FEMA may only consider material currently in your file to look for irregularities that might result in you getting more money. Every person who reopens a claim will have to fight for his or her rights individually and that costs money. FEMA’s notification is not an offer of a class-action settlement, nor is it an indication that you will receive more money. Every case will be considered separately. FEMA will not seek additional information or evidence for you. It’s entirely up to you to add information to your file to prove your claim. You will have to submit the evidence in an approved format. You will have to meet FEMA’s deadlines and pay any associated fees out of pocket. FEMA will not send out adjusters or engineers to reevaluate your claim. If you want to submit an independent opinion to counter what may have been a fraudulent report that underestimated your damages, you will have to pay for that independent opinion yourself. That could run into thousands of dollars. FEMA will not look for damages resulting from flooding that you may have discovered after you initially filed your Sandy claim. You will have to fight for that inclusion yourself. In short, this means that FEMA will put the overwhelming burden of proof and costs on you, the victim. We don’t think that is right. At The Fink Law Firm P.C., we would like to join with you and other Sandy flood victims to right the wrongs you have suffered. We will send an experienced adjuster who does not work for FEMA to estimate the damage to your home – free of charge. All we ask is that you call our number – 1 844-FINK- LAW (345-6229) – immediately – to establish whether you are entitled to a free visit from one of our experienced claim adjusters.